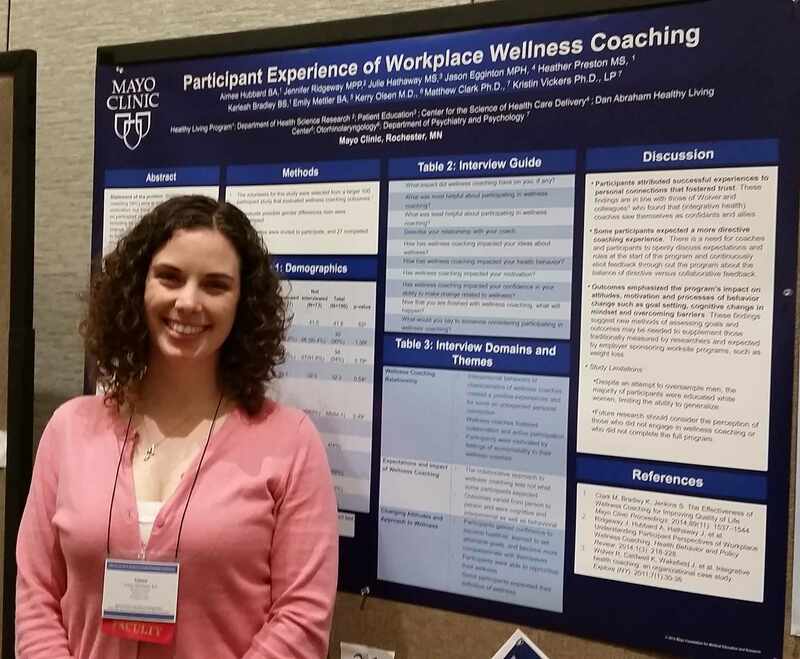 Aimee Hubbard, Wellness Coach at the Healthy Living Program, recently presented a poster entitled “Participant Experience of Workplace Wellness Coaching” at the Art and Science of Health Promotion Conference in San Diego, CA. 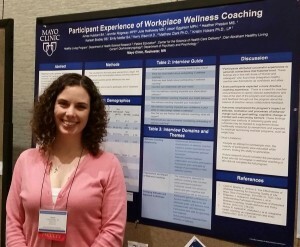 The poster highlighted key themes in the coaching relationship and intrinsic changes in participants' experience. As outlined below, DAHLC staff, research, and physician leaders collaborated on this project. Authors: Aimee Hubbard, B.A. ; Jennifer Ridgeway, M.P.P. ; Julie Hathaway, M.S. ; Jason Egginton, M.P.H. ; Heather Preston, M.S. ; Karleah Bradley, B.S. ; Emily Mettler, BA; Kerry Olsen, M.D. ; Matthew Clark, Ph.D.; Kristin Vickers Douglas, Ph.D., L.P.